Emma Donoghue was one of the writers we found comforting, in an interesting conversation with Suzanne Leal, about her latest novel, Frog Music (Picador), a tale about an unsolved crime in San Francisco in 1876. It features a burlesque dancer, Blanche; her lover, Arthur, and his mate, Ernest, and the murder of an eccentric young woman, cross dresser and frog hunter, Jenny Bonnet. Blanche, Arthur and Ernest are former stars of the Parisian Circus, and Donoghue peppers her novel with lots of French words and songs from the period. She has song notes in the back of the novel, along with a glossary of the French words, but in most cases Blanche translates for her friend Jenny, and the reader, of course. So a session with Emma Donoghue led me to sing a song of praise for Frog Music, and my wife Gillian and I continued on our Irish path through the Sydney Writer’s Festival, heading to another fascinating discussion with another Irish author, Eimear McBride, whose novel, A Girl is a Half-Formed Thing, has set the literary world a buzzing. If you’ve just watched it, yes, the book does have a Joycean feel about it. McBride said she spent a lot of time searching for her voice, and then she read James Joyce when she was 25. It’s a story about a girl growing up in rural Ireland until the age of 20, with a religious mother (not surprising in Catholic Ireland), a molesting uncle, a brain-damaged brother and a brutal adolescence during which she was subjected to sexual abuse. It’s a dark Joycean stream of consciousness, blending with a bit of Beckett. She gave a hint of how to read the book during the Festival session: “Full stops encompass a lot of life experience.” She also mentioned that “commas are overrated.” Eimear McBride said she was looking for a new way to tell the old stories about Catholic misery, and was also influenced by Edna O’Brien, whose The Country Girls broke new ground about the repressive treatment of Irish women, sexual matters and social issues in Ireland. It took nine years for A Girl is a Half-Formed Thing to make it to print, with publishers saying it was unmarketable, while acknowledging the quality. The owner of their local bookshop in Norwich, England asked to read it as he was thinking of starting his own press in 2011. Two years later, his Galley Beggar Press published it, and an influential critic, Adam Mars-Jones, praised it in the London Review of Books and it took off from there, eventually winning the inaugural Goldsmiths Prize in November 2013. 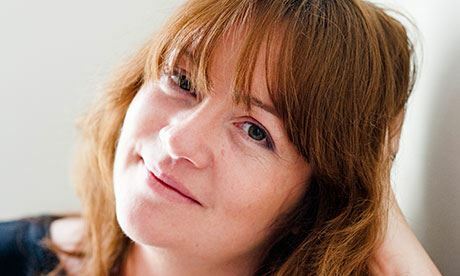 Eimear McBride is working on a similar book now, with “an evolution of the style.” A Girl is a Half-Formed Thing is not an easy read, but it’s worth the effort. And last but not least, our third Irish author, John Connolly (photo above by Mark Condren), born in Dublin, took to the stage of the Richard Wherrett Studio in the Sydney Theatre to regale us with a history of the crime novel from Dashiell Hammett to Raymond Chandler and Patricia Highsmith and Agatha Christie, to name just a few. Jon Page, the general manager of Pages & Pages Booksellers, had an easy job as facilitator (ugh, that word!) with Connolly standing at the podium at first, then moving around the stage while speaking quickly and eloquently, as you’d expect of an Irish writer. After the session, we went to get The Wolf in Winter signed. 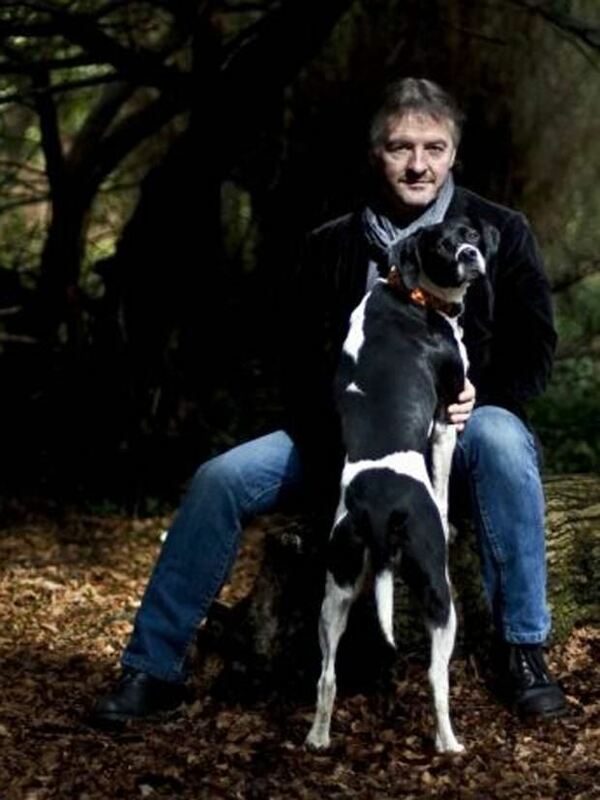 John Connolly could tell we were big fans when my wife asked him about whether he had a whole scenario in mind, as he was writing about his father’s death in the Parker novels. Immediately, he reached into a box and said: “You are old fans, you deserve something special.” He handed us a copy of I Live Here, a memoir of his early encounters with the supernatural and a meeting with an older woman with a query about a haunted house – a little pamphlet specially bound and signed by the author: copy 908 of 1000. A special gift from a special writer: it was the perfect way to end our Irish journey around the Sydney Writers’ Festival.